the New England NE Region. We will also focus on the parent-steering mechanism known as the Arctic Oscillation (AO); and other teleconnection indices. I would like to talk about El Niño, that has made significant headlines in the media. El Niño "The Boy", which is an unusual warming of Pacific sea surface temperature (SST) anomalies, is NOT basin wide through the equatorial Pacific Ocean. In fact close observation shows there is NO comparison to the 1997/98 super El Niño, as this particular event is *Central-to-West-based and NOT basin wide or East-based. This means the warming of SST anomalies over the Pacific is concentrated from the International Dateline, points east to the *Central / North American continent. A *Central-to-West-based El Niño will in-fact encourage an energized sub-tropical jet-stream but ridging (above normal heights) over western North America due to the area of above normal SST's concentrated through the eastern Pacific, that will tend to encourage troughing (below normal heights) over eastern North America. What is the foundation of the 2015/16 Winter season? 1. Solar Minimum / High Latitude Blocking - it's very important to consider that we are now entering a solar minimum following the 9-11 year sunspot cycle. 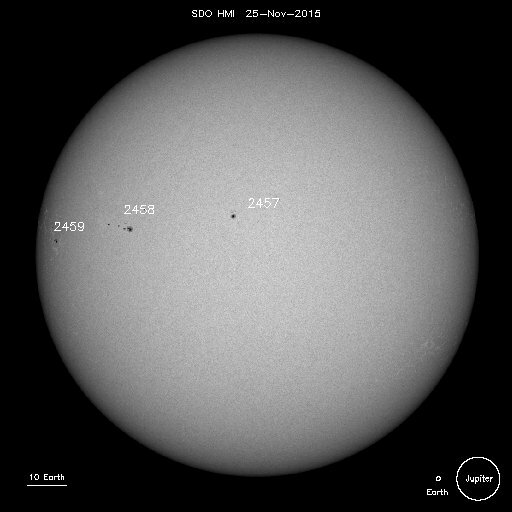 The Sun has been averaging 20 daily events or less (in-terms of sunspot activity on the solar disk) since November 7, 2014, and is currently at 15 daily events as of November 20, 2015. Through the majority of absent New England Winter's of the 1990's, the Sun was averaging 40-100 daily events, * sending a moderate to high frequency of ultraviolet (UV) rays at-the-Earth. 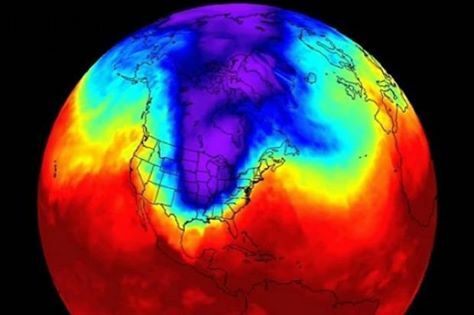 The higher frequency of ultraviolet (UV) rays acts to deplete ozone and in-return allows for pronounced cooling of the pole's stratosphere, with the Polar Vortex (PV) almost never splitting to influence middle latitudes of-the-Earth. Strongly taking into consideration current solar activity, lends hand to the highly cyclical 9-11 year (Schwabe) sunspot cycle, that we are indeed entering a solar minimum. The emerging sleep of-the-Sun will soon encourage pronounced warming of the pole's stratosphere due to increased ozone, * as this warming pushes down through the * stratosphere and troposphere, the PV will in-turn react and SPLIT, the pole will moderate. As the split PV drops south in-latitude, a reaction-to-action, ejecting the Arctic Oscillation (AO) / North Atlantic Oscillation (NAO) into a pronounced negative phase. This will be the said driver of the 500-millibar Height Pattern over the Northern Hemisphere during the coming 2015/16 Winter season, NOT El Niño. 2. El Niño - the above said factors will tend to encourage an unusually stronger than normal or *enhanced* sub-tropical jet-stream, that will as-a-result of location, be a high moisture source to interact with the Polar jet-stream. This will be, an enhancer, encouraging a moderate to strong probability of Nor'easters. 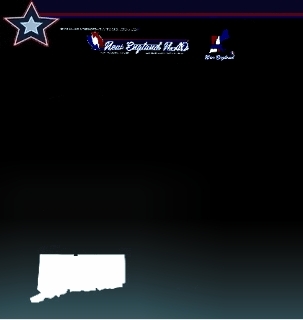 When will this change influence New England? While we have experienced a gradual step-down since mid November, there are key signals that will indicate CHANGE. A strong low pressure system tracking through the eastern Great Lakes region, producing rainfall in New England, around the week of November 29th may be the mechanism that encourages a significant pattern change. Therefore, December 5-12th is the time period of high volatility. * Corrected information on sudden stratospheric warming & the current state of El Niño. 9-11 YEAR SUNSPOT CYCLE PROVES THREATENING FOR NEW ENGLAND (NE)! 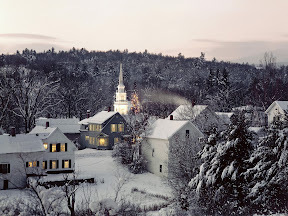 The 2014/15 season is-the-true beginning of-a-cycle... supporting the RETURN OF classic OLD-FASHIONED-WINTER's in NEW ENGLAND! On January 14, 2015, I had posted that all-the-elements would (have the-potential-to) come together... with the return of the old fashioned New England winter, as experienced through most-of-the 1950's, 1960's, & 70's. As we realized the "cold", but had yet to observe a true snowstorm (Nor'easter). Since-that-post, Boston has recorded it's snowiest 7-day period in-history (during late January 2015), and Hartford, CT. is presently averaging around 8-10°F below normal for the month-of-February. While there are various forms of long range weather guidance, such as NOAA's CFS forecast model... nature itself has already provided us with strong clues. These clues rest with understanding of-the-Sun's 9-11 year sunspot cycle, known as the Schwabe Cycle, which averages to be exactly 10.66 years. Sunspots are temporary dark spots located on the photosphere of-the-Sun, that significantly reduces the temperature within the darkened spot, in-contrast to the outer surrounding of the solar disk. However, the influences go-far-beyond the solar disk through the release of ultraviolet (UV) rays. 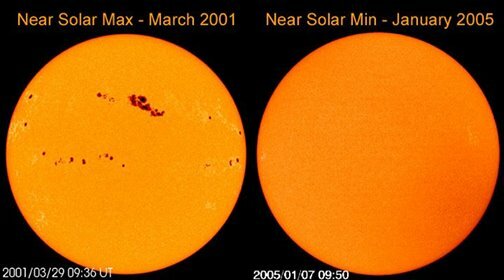 UV rays (due to highly active "charged" sunspots) fall back on-the-Earth, which has a direct poleward effect. The higher frequency of UV rays acts to "cool" the pole's stratosphere, as the Polar Vortex (PV) remains over-the-Arctic... thus NOT SPLITTING, dropping south, to influence middle latitudes of-the-Earth. During the period of a Solar Maximum, is when this activity peaks... the Winter of 2011/12 was a Solar Maximum. However, we are now heading toward a Solar Minimum (the five-year-period between a solar maximum), which allows for a reverse effect... due to virtually no sunspot activity on the solar disk. In return, the pole's stratosphere "warms", encouraging "Blocking High Pressure" in northern latitudes as the Polar Vortex (PV) SPLITS, becoming significantly displaced from the pole as it drops south in-latitude (*has occurred during this 2014/15 Winter season). Of extreme interest, the sun will truly enter a Solar Minimum around the 2015/16 Winter season, and have strong probability to-be-deep within a solar minimum during the 2016/17, 2017/18, 2018/19, 2019/20, & 2020/21 Winter seasons... following this highly cyclical cycle! FINAL THOUGHTS ON THE 2014/15 WINTER SEASON! A further in-depth look at the 2014/15 Winter Season! Well, changes are... and certainly have occurred. The image below (although-not-current) depicts - MAJOR - changes that have occurred with the 500-millibar Height Pattern over North America (and the Northern Hemisphere as-a-whole). What has happened? The most noteworthy change from December is-with-the Polar Vortex (PV), itself. The polar vortex is an intense (cold) upper-level low pressure system that originates over the Arctic / North Pole, and this-is-where the PV stayed for most of December. However, through poleward stratospheric changes "warming"... the PV SPLIT into two (2) separate lobes and dropped south, with one lobe falling over North America, and the other over Eurasia. Through these changes, the pole moderates... as "Blocking High Pressure" becomes established across northern latitudes (i.e. Arctic Oscillation "AO" becomes increasingly negative), ejecting the upper-level low pressure system from the Gulf of Alaska & replacing-it with intensifying High Pressure (notice the greenish shade toward the Gulf of Alaska on-the-image, indicating moderating anomalies, which is a significant change from December). It's very IMPORTANT to understand that during most of-the-classic old fashioned winter's experienced in New England during the 1950's, 60's, & 70's the PV almost always split... if this doesn't take place, you end-up with a longwave weather pattern similar to-that-of December 2014, "progressive", which was experienced through most-of-the absent winter's of-the-1990's! Now that the PV has split, what will happen? The 500-millibar Height Pattern is-open to configure itself to repeat the 1950's, 60's, & 70's all-over-again... and will attempt to do just that on-or-about January 21st, before this time frame there will be a temporary moderation... indicating CHANGE. What does this mean? We have now certainly experienced the "cold" but have yet to combine that with true snowstorms (Nor'easters)... on-or-about this date (1/21) is when all-the-elements have the potential to-come-together (i.e. North Atlantic Oscillation "NAO" also becomes negative), thus "blocking" / lifting the jet-stream up along the U.S. Eastern seaboard, promoting East coast cyclogenesis. This change will make run at balancing the December blowtorch, as January 2015 should average "at least" 1-2° below normal in-temperature, however beyond this... with the exception of a brief mild spell around the second week-of-February, both February & March 2015 have a strong probability of averaging below normal in-temperature, considering the above-said-factors. In closing, the Winter Season of 2014/15 has strong potential of averaging slightly below normal in-temperature overall, with above normal snowfall through much-of-New England. What is average snowfall? For example: ADAMS / NORTH ADAMS - 78.1" average annual snowfall. Winter 2014/15: potential 100.0"+ for-the-season as-a-whole. BOSTON - around 43.0" average annual snowfall. Winter 2014/15: potential 50.0"+ for-the-season as-a-whole. DECEMBER 23, 2013 - WHERE IS THE NAO HEADED? NOAA's Climate Prediction Center (CPC) is currently weakly Positive. The GFS Ensemble Indice Forecast indicates that the NAO will be very weakly Positive December 24-27. The Ensemble Indice Forecast indicates the NAO will be neutral to very weakly Negative December 28-31. The GEFS later indicates that the NAO will trend weakly Negative January 1-7. The NAO will then trend neutral to weakly Positive January 8-15. The NAO Operational GFS Indice Forecast from CPC is also currently weakly Positive. The GFS Indice Forecast indicates that the NAO will be very weakly Positive December 24-27. The Operational Indice Forecast indicates the NAO will be neutral to very weakly Negative December 28-31. The GFS later indicates that the NAO will trend weakly Negative January 1-7. The NAO will then trend neutral to weakly Positive January 8-15. NOTE: Indice Forecasts have been modified, due to Forecaster's understanding of the current Longwave pattern. GFS MRF Ensemble Indice Forecast from CPC is currently moderately Positive. The GFS Ensemble Indice Forecast indicates that the AO will be very weakly Positive December 24-27. The Ensemble Indice Forecast indicates the AO will be neutral to weakly Negative December 28-31. The GEFS later indicates that the AO will trend increasingly Negative January 1-7. The AO will then trend neutral to increasingly Positive January 8-15. The AO Operational GFS Indice Forecast from CPC is currently moderately Positive. The GFS Indice Forecast indicates that the AO will be very weakly Positive December 24-27. The Operational Indice Forecast indicates the AO will be neutral to weakly Negative December 28-31. The GFS later indicates that the AO will trend increasingly Negative January 1-7. The AO will then trend neutral to increasingly Positive January 8-15. GFS MRF Ensemble Indice Forecast from CPC is currently neutral. The GFS Ensemble Indice Forecast indicates that the PNA will be neutral to very weakly Positive December 24-27. The Ensemble Indice Forecast indicates the PNA will be weakly Positive December 28-31. The GEFS later indicates that the PNA will trend increasingly Positive January 1-7. The PNA will then trend neutral to weakly Negative January 8-15. The PNA Operational GFS Indice Forecast from CPC is currently neutral. The GFS Indice Forecast indicates that the PNA will be neutral to very weakly Positive December 24-27. The Operational Indice Forecast indicates the PNA will be weakly Positive December 28-31. The GFS later indicates that the PNA will trend increasingly Positive January 1-7. The PNA will then trend neutral to weakly Negative January 8-15. NOAA's Earth System Research Laboratory (Physical Sciences Division) and NCEP, is currently weakly Negative. The GFS Ensemble Indice Forecast indicates that the EPO will be weakly Negative December 24-26. This indice forecast then indicates that the EPO will be increasingly Negative December 28-31. The GEFS later indicates that the EPO will trend weakly Negative January 1-6. The EPO will then trend neutral to weakly Positive January 7-13. GFS MRF Ensemble Indice Forecast from NOAA's ESRL/PSD and NCEP, is currently moderately Negative. The GFS Ensemble Indice Forecast indicates that the WPO will be moderately Negative December 24-26. This indice forecast then indicates that the WPO will be increasingly Negative December 28-31. The GEFS later indicates that the WPO will trend weakly Negative January 1-6. The WPO will then trend neutral to weakly Positive January 7-13. GFS MRF Ensemble Indice Forecast from CPC is currently neutral. The GFS Ensemble Indice Forecast indicates that the AAO will be neutral December 24-27. The Ensemble Indice Forecast indicates the AAO will be neutral to weakly Negative December 28-31. The GEFS later indicates that the AAO will trend increasingly Negative January 1-7. The AAO will then trend neutral to increasingly Positive January 8-15. 2013/14 Winter Outlook... is well-under-way. 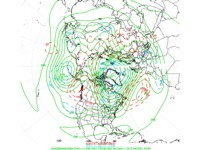 Established High Latitude Blocking episodes appear eminent as we enter January 2014! WHAT CAUSED THE PAST WINTER BLAST! Pacific Decadal Oscillation (PDO)... which became slightly Positive during the Fall, meaning that Pacific Sea Surface Temperature (SST) anomalies are warmer than normal, encouraging Blocking over the eastern Pacific. in-terms of sunspot activity, Solar Cycle 24 is trending much-less-active (as seen above)... especially since the actual observed Solar Maximum in 2011/12. Had this sunspot activity took place a decade ago, the out-come on the overall 500-millibar Height Pattern in the Northern Hemisphere... would have had a far greater impact. New England, as the AO & NAO return Positive. -AO / -NAO couplet over eastern North America as the Polar Vortex (PV) returns to east-central Canada around January 20-22. Android Smartphone users on the Google Play Market. What is the North Atlantic Oscillation? Dedicated To Understanding New England's Climate! 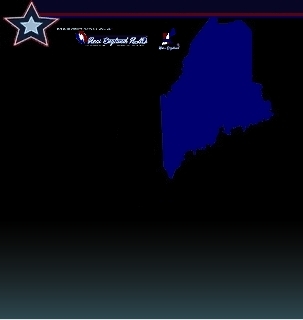 As this Blog continues to grow it will be a learning experience for me, and a possible valuable source of information to the overall general public in New England. 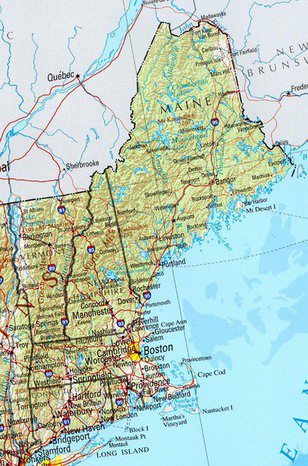 Posts prepared by me are region specific, pretaining to upcoming meteorological changes in New England. Other posts are general weather related content and from various authors. N. Adams, MA., for help making this site possible. 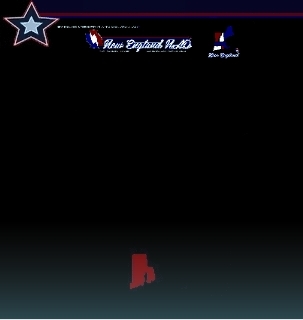 I would also like to express my sincere appreciation to Todd Gross of www.toddgross.com (former Chief Meteorologist of WHDH - Channel 7 Boston), for including me in his "Weather Spotter Network" - which served as a foundation for this site. 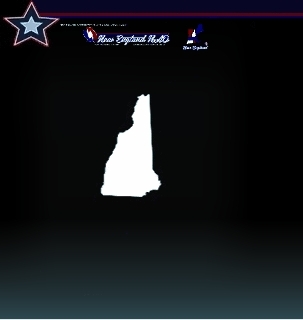 New England NAO - is dedicated in loving memory of my cousin... Peter Rowley, who recognized my true purpose in-life and was taken from us so soon. Any Hope for Snow in the East?The North Atlantic Oscillation holds the key, and we should all be thinking negative thoughts. 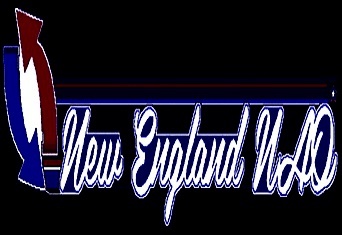 NEWA ServicesServing New England for over 30 years! Establishing author's recommended post to date! 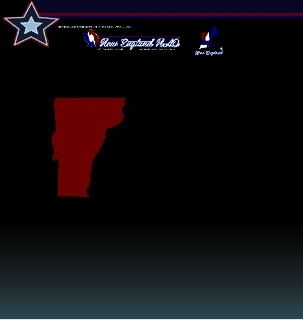 This site is free to access, and available for public viewing. Any other content on this site is accessed by the viewers interest only. The posts are original material and may not be used or reproduced without permission of the author.  NEW ENGLAND & THE NORTH ATLANTIC OSCILLATION (NAO)www.newengland-nao.com© 2011-2019 · All Rights Reserved. Powered by Blogger.